South Dennis, MA– We invite everyone to visit our open house at 20 Benjamin Road on July 3 from 12:00 PM to 2:00 PM. West Harwich – Grey Neck beach just down the road. Fabulous location, cathedral and beamed ceilings, updated kitchen with gas cooking stove! You will enjoy your summer vacation in this wonderful Cape Cod ranch style home. Gorgeous patio to relax and cookout. Outside shower and more. Master bedroom has a queen and the guest bedroom has 2 twins. This means our refreshing fruit and cold bottled water will be ready for the runners returning from the race. We look forward to seeing you all again! West Harwich, MA– We invite everyone to visit our open house at 23 Shore Road Extension on June 25 from 11:00 AM to 2:00 PM. 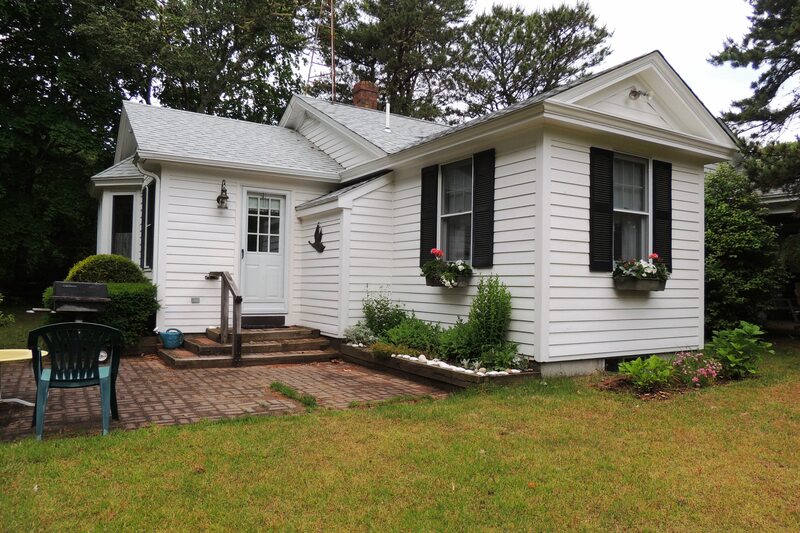 Harwich Port, MA– Classic Cape Cod charming cottage with detached 2 bedroom, 1 full bath bunkhouse that sleeps 6. Walk to everything in Harwich Port- beaches, shopping, fabulous restaurants, gift stores, musical strolls on Wednesdays and more. Main house sleeps 4 in 2 bedrooms with 2 full bathrooms. 1 queen, 1 full in main house and 6 sets of bunk beds in rumpus house. South Dennis, MA– We invite everyone to visit our open house at 20 Benjamin Road on June 26 from 1:00 PM to 3:00 PM. Harwich Port, MA– We invite everyone to visit our open house at 133 Bank Street on June 25 from 11:00 AM to 12:30 PM. • 1,218 sq. ft., 2 bath, 3 bdrm 2 story – $311,777. Dennis Port, Dennis – Antique Half Cape – Modern Facilities. You’ll love this fine example of Cape Half House architecture (DSHD). Beamed ceilings, wide pine floors, clawed bath tub, old & big fireplace. Huge yard with flowers & fruit trees. 14’*14′ carriage house with electricity. Restored & updated in 1988 with modern conveniences. 4 skylights, modern cabinets & tiled counters, 1st-floor laundry with washer/dryer. 1st-floor bedroom. Hooked up to the internet & cable. The mechanicals are modern & in good working order. Huge, flat yard totally fenced in. 22’*10′ deck renovated this fall. Roof retiled this fall. On Cape Cod a house is a destination. Less than mile from downtown Dennis Port. Less than mile from a public beach on Swan Pond. Just over 1 mile to Sea St. Beach on Nantucket Sound. This rare house can be your multi-century Cape Cod Destination. Harwich – Fabulous vacation home to enjoy your summer time in Great Sands Lake! Comfortable central air conditioning, spacious feeling with vaulted ceilings, wood and tile flooring. Nicely decorated in light and bright decor. Master bedroom features a queen sized bed, guest bedroom with 2 twins and third bedroom/den has a pull-out couch. French doors in dining room open to spacious deck, family room walks out to a nice patio, outside shower and more! Walk to fresh water beach too!